Hurdles and chase race jump numbers! Why do hurdles races (over lower and easier obstacles!) generally have fewer jumps than chase races (of same distance)? To me logic would suggest that the opposite would be the case. Answer: Hurdles races are usually contested by younger horses learning their trade over obstacles. The wider spacing between jumps affords them more time to settle; especially as hurdle races are run at a faster pace than chases. 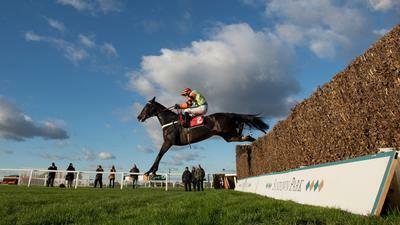 The Racing Post is of the opinion that the difference in the number of obstacles relates to a Hurdle race being a test of speed, whereas a Chase is traditionally more of a test of stamina and jumping ability.